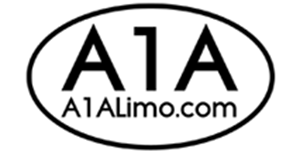 We are able to read directly from A1A Airport & Limousiine Service's (see http://www.A1ALimo.com) reservation database every 5 minutes and send texts out 1/2 an hour before the driver arrives. The text messages are custom and also show an image of the driver. In addition, this self running application checks flight information. So, for passengers going to or being picked up from the airport, the application checks flight information and send a text reminder 1 hour before the plane departs and 5 minutes after the plane lands. In addition to that, text message replies are also processed. For the most part, customers reply with Ty (Thank You), or OK, or I'm here. Occasionally, they may reply with something like "my luggage was moved to carousel 16". This triggers a help desk ticket. The dispatchers receive an email along with a link to the help desk ticket. The ticket could be responded to by text right from the dispatchers web page. This enables one dispatcher to repond to many text replies without ever having to touch a cell phone. In addition to that, a daily report is emailed to the owner of A1A Limousine with tallies of the number of texts sent out. Custom Apps 360, LLC may be able to read directly from your scheduling software's database to acheive similar reminder notifications.